The culmination of the story of Fate Captured, Book 1 in my Greek Tycoons series, takes place in the beautiful island of Alonissos. Having just returned from my annual visit, it’s only fair I pay tribute with a post choked in stunning visuals. 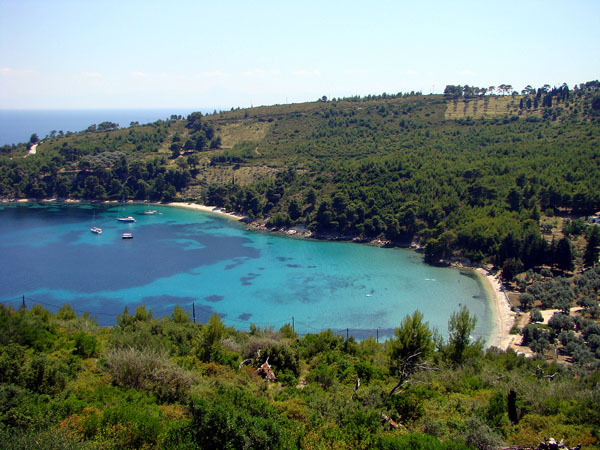 Alonissos belongs to the cluster of the Northern Sporades along with Skiathos and Skopelos. 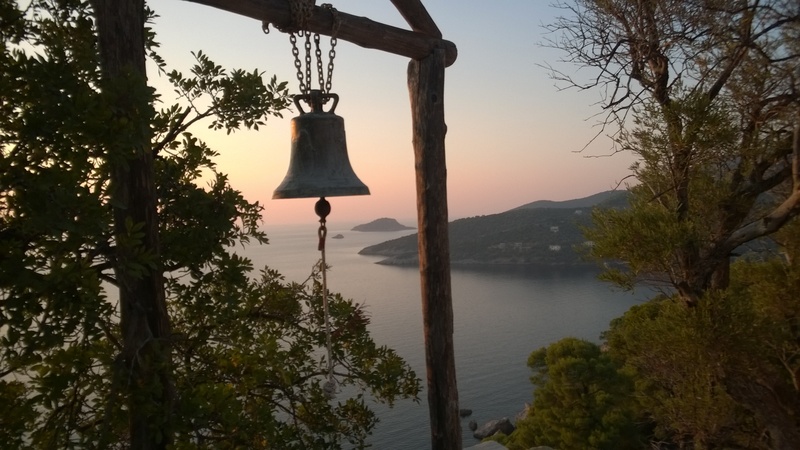 But, unlike these two larger islands that attract throngs of tourists, Alonissos retains the breath-taking natural beauty of the North Aegean islands without the noise, the clutter and the sometimes offputting touristy feel. 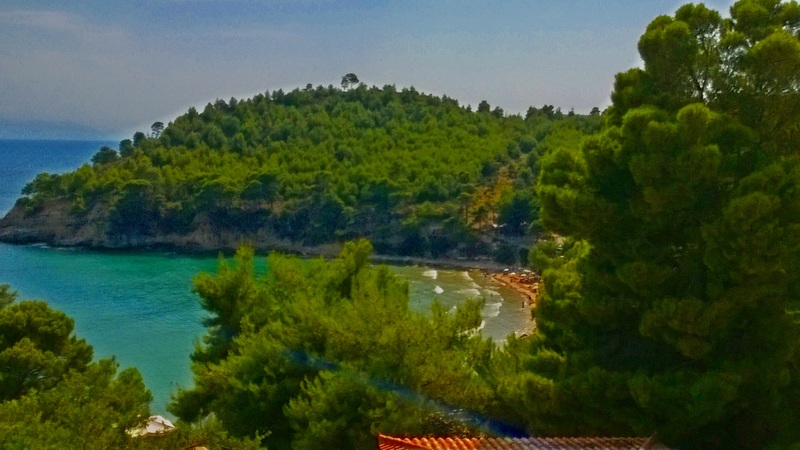 To me, the island of Alonissos holds emotional value as it is the place where my husband proposed back in 2002. 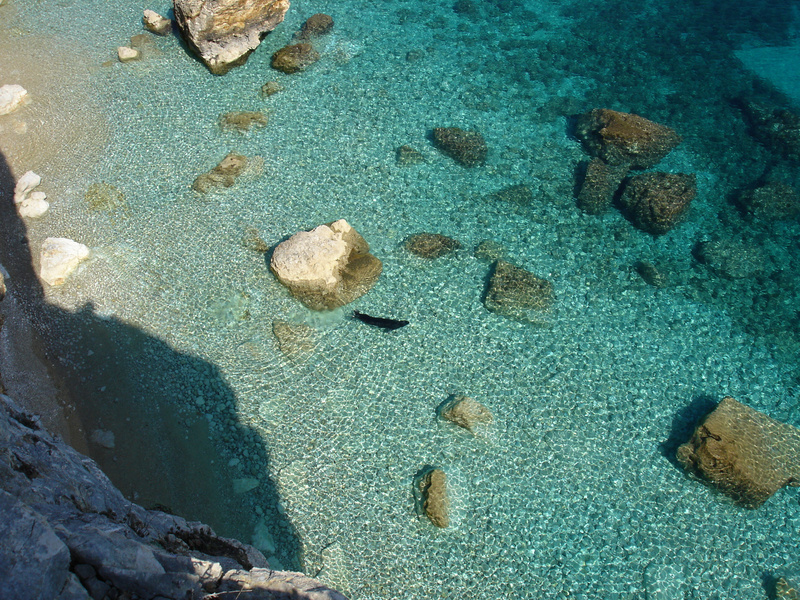 What’s more, it’s the place that inspired me to start penning my Aegean Lovers series. It was only fair that I chose that setting. And, luckily, it’s an ongoing affair. I visit it every summer as my in-laws have a summer house there. Want to take a tour? 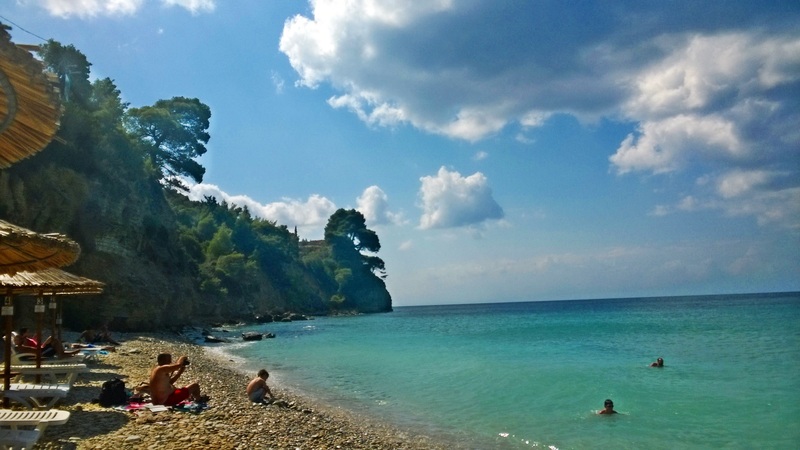 Alonissos has sixteen beaches one can access by car and countless bays accessible only by boat. Here are the most popular. The island’s ancient name was Ikos, and its first inhabitant was Stafylos (meaning “grape”) the son of Dionysus and Ariadne. Its second name “Achilliodromia” references Achilles whose father, Pileas, is said to have been buried there. Variances of that name are still seen as names of inns or restaurants: Liadromia, Hiliodromia. The Achaeans sailed from here to reclaim Helen of Troy and also Jason set off from Alonissos for his quest for the Golden Fleece. 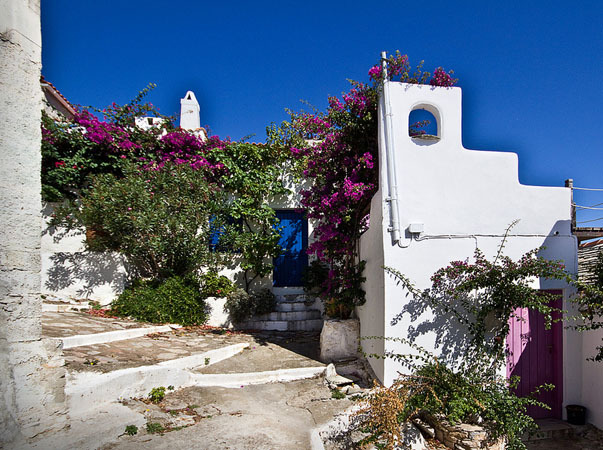 Offering a magnificent view of the Aegean, Hora (as the locals call the Old Village) bears the trademark windy-street/steep-stairs combo of the Greek islands. 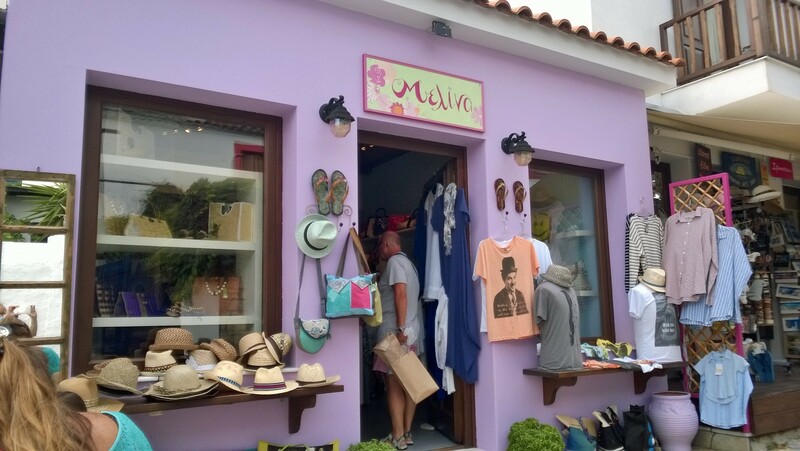 More artsy than touristy, the little shops and cafes offer quality products, full of local charm. 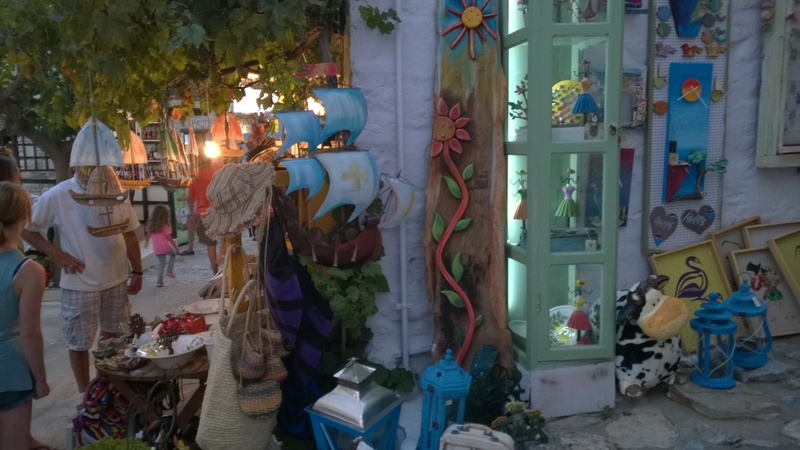 The picturesque central port of Alonissos is also the current capital of the island. Its name means “wine-press” in Greek. 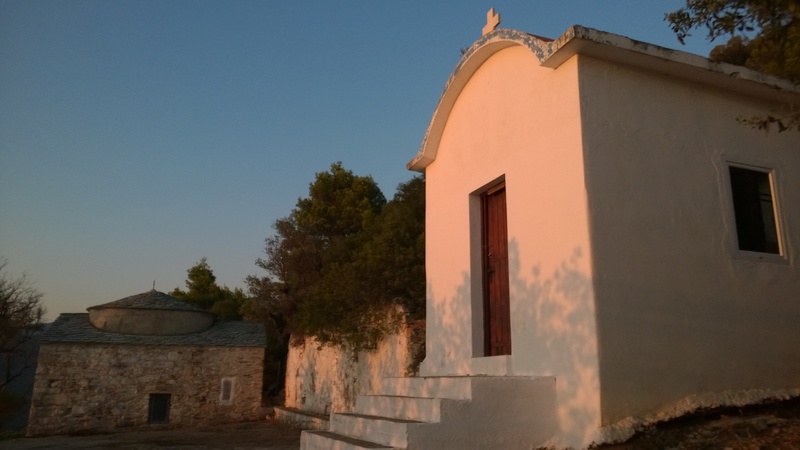 The chapel of the Holy Unmercenaries (Agii Anargiri) is tucked in a verdant slope at the edge of a cliff with breath-stealing views of emerald waters. It’s the place that I just have to visit each and every year. I also chose this as the location for a wedding that takes place in Fate Accompli. 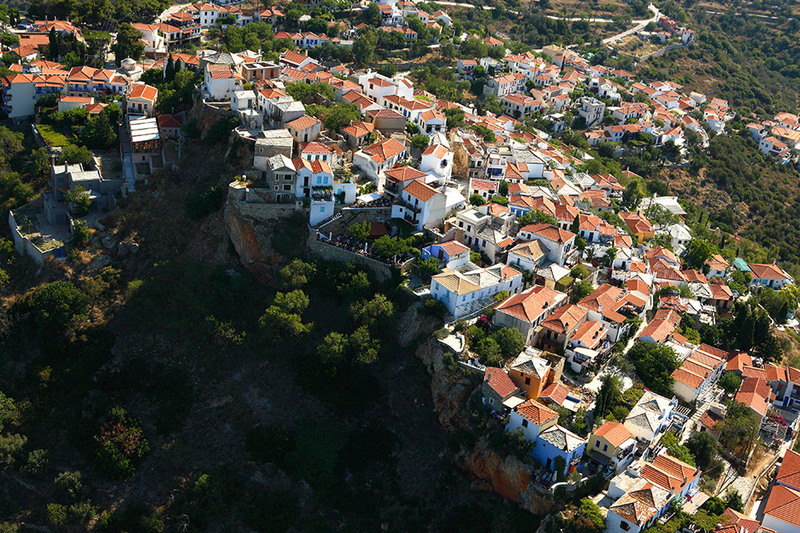 Alonissos pushes the envelope forward where colors are concerned. 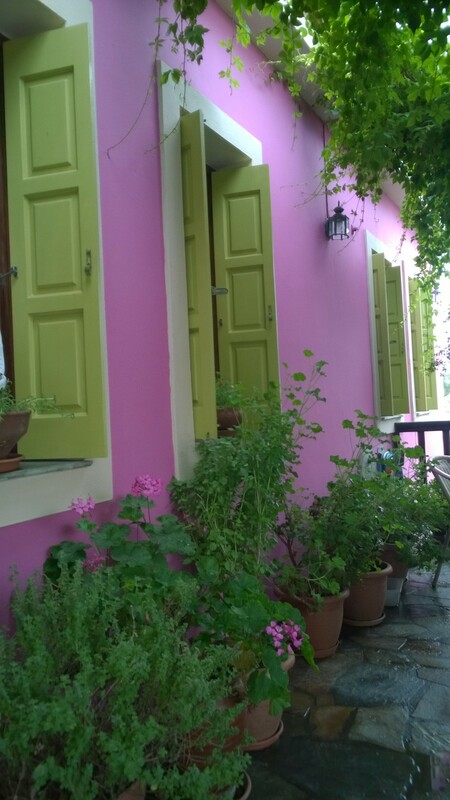 Instead of the traditional white and blue of the Aegean, here you see lots of lilac (my favorite color) as a main color or in trimmings. 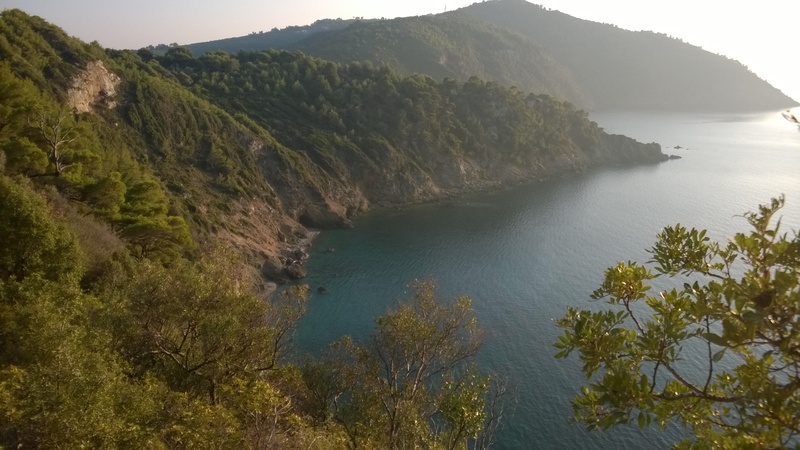 The National Marine Park of Alonissos and Northern Sporades is the first marine park established in Greece and a member of the Network of Marine Protected Areas in the Mediterranean. Mostly known for its efforts to protect the Mediterranean monk seal (Monachus Monachus) it is also the natural reserve for hundreds of plants and animals. I captured a picture of a Monachus Monachus seal back in 2008, and it’s one of my most treasured pictures. 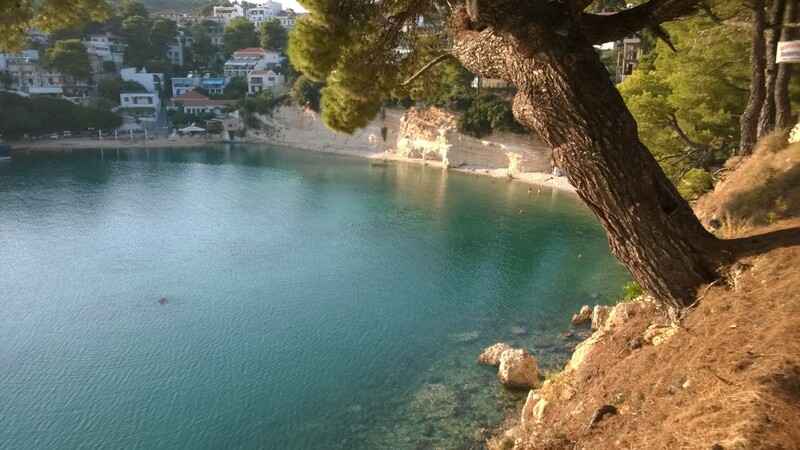 From Athens, you can take a flight to the island of Skiathos and then a flying dolphin or a catamaran to Alonissos. 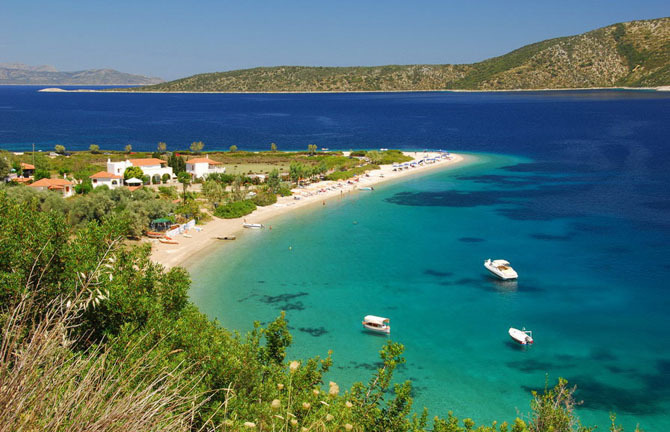 Alternatively, you can use the passenger bus service to reach the port of Agios Konstantinos (100 miles from Athens – one and a half hours drive) and then take a flying dolphin, ferry or catamaran for a three-hour trip to Alonissos. 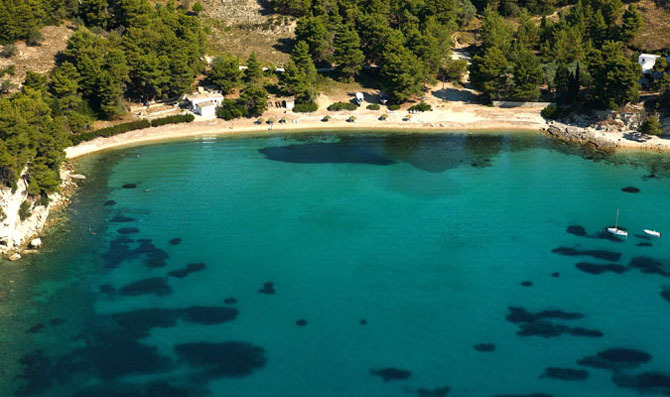 There are also direct flights to Skiathos from various European cities. With such beauty how can I not be inspired to write my love stories in this setting? For a sensual romance story set on this breath-taking island, pick up Fate Captured, free through Kindle Unlimited. Thank you for sharing your photos. Breathtaking! Thank you, Michelle! A bunch of them I took. Oh my goodness, I wish I could be there now! What beauty is this! 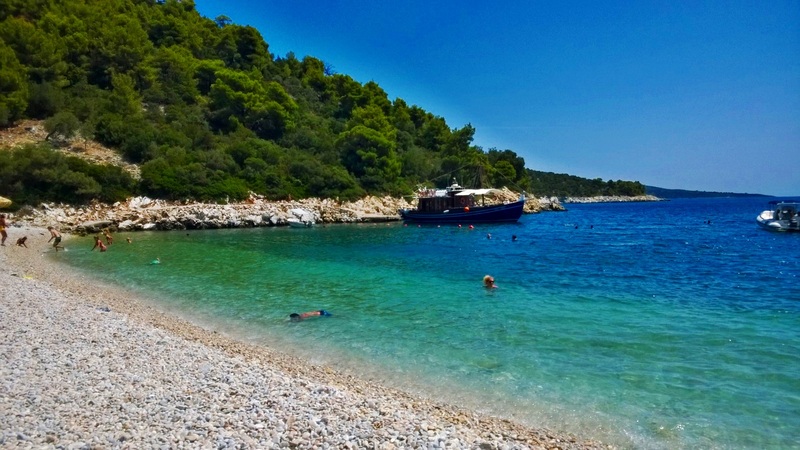 I’ve only been to the port and a swim there on a short stop during a daily cruise from Skiathos (we also did Skopelos and Kimolos that day) so I have to go back now and see the rest! Loved the lilacs, the monk seal photo but mostly the chapel and vista at Agii Anargiri. Reminded me of Mamma Mia! You can almost expect Meryl Streep to come into the frame at any moment, singing to Pierce Brosnan. Makes sense I guess, since they filmed that in nearby Skopelos, I think? Thank you for sharing this, Maria ❤ Awesome stuff! Thank you, Fros! Yes, it’s paradise. Made from the same stuff as Skopelos, but I love the fact that Alonissos is smaller in size and more quiet. I should have added a para about the food! But I forgot to take snaps of the infamous cheese pie. Darn! This post will be a page on my blog, so I’ll be adding to it. Glad you liked it! Achilliodromia – might that translate to “Achilleus races”? Wonder if the name refers to a place where they held racing competitions, as ancient Greeks often did to honor their dead. Perhaps an annual event in honor of Pileas? Is this the cheese-pie you’re referring to? Yup! That’s the one! Thanks! Gorgeous photos, makes me long to go there!